Joel Falk, president of UMB Bank Omaha, shares why UMB has partnered with the Omaha Business Ethics Alliance for years. Why ethics is important in business is critcal to understand. Integrity and trust are two of our company’s most prized values and are a common thread with the Alliance, which is why we have partnered with them for so many years. In Omaha, and throughout UMB, we take pride in working with organizations that share our ideals. One of the most important aspects of the Alliance is that it promotes an environment where the discussion and practice of business ethics is encouraged and expected. It also works with companies to build personalized ethics programs and policies. 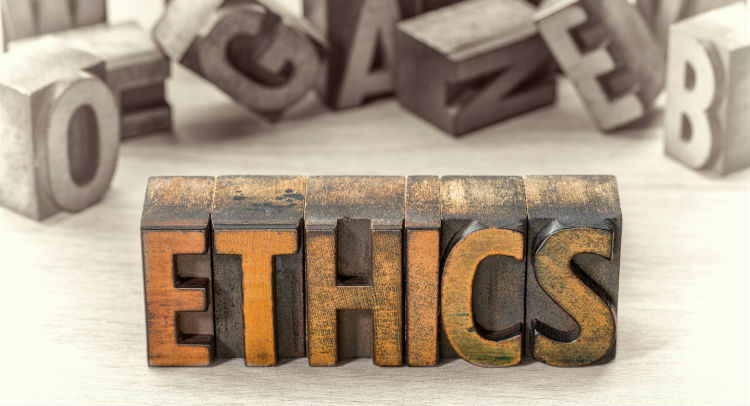 Why ethics is important in business should be at the forefront of every business leader’s mind as they work to make the best decisions for their business and their community. For me as a Trustee of the Alliance, working with this group continually reminds me to keep certain practices top-of-mind as I make decisions. The executive breakfasts have helped me learn how to combine my work and passion for helping the community and, as a result, I am better able to support the nonprofits that I have joined. I think more creatively about problems that arise and can help find a lasting solution because of the tactics I have learned from the Alliance, such as listening to others, evaluating all sides of the situation, and hosting an open dialogue with the group. This holistic mindset has also proven beneficial in my day-to-day activities. The Alliance is a necessary group for the continued success of businesses in our area, and I encourage everyone to take full advantage of these resources and to continue thinking about ethical practices. For example, if your company has ethical guidelines in place, review them and ensure they are still current and relevant for your employees and that they know the program and policies exist to support them. As leaders move through their careers, decisions become larger and create more of an impact for companies and communities. It’s important to treat all employees and clients with the utmost respect when making critical decisions. The Alliance regularly teaches why ethics is important in business, and being able to answer and act on this question in everyday life helps make our community a better place. Also, stay informed on industry trends and noteworthy company news by visiting our UMB in the News section on umb.com or following UMB‡ on LinkedIn. * Be the best at what you do. Period.